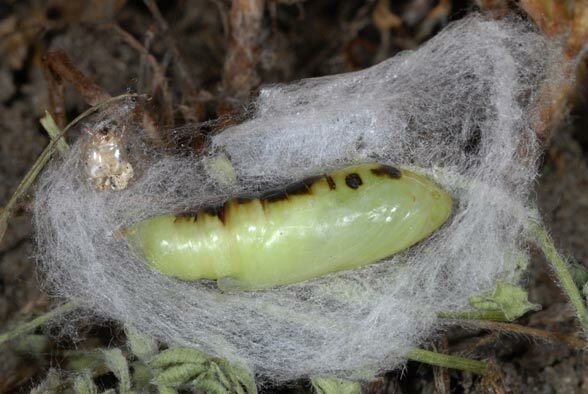 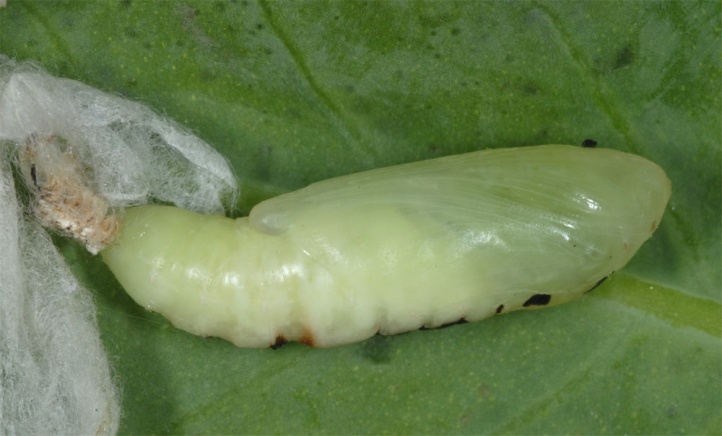 The larvae are very polyphagous. 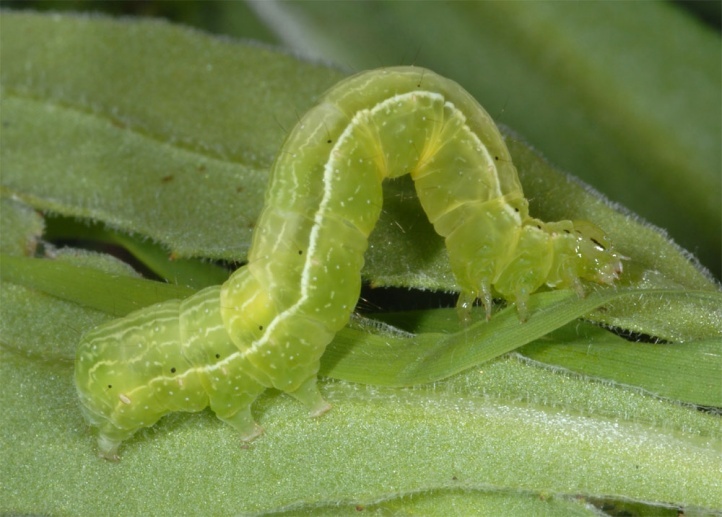 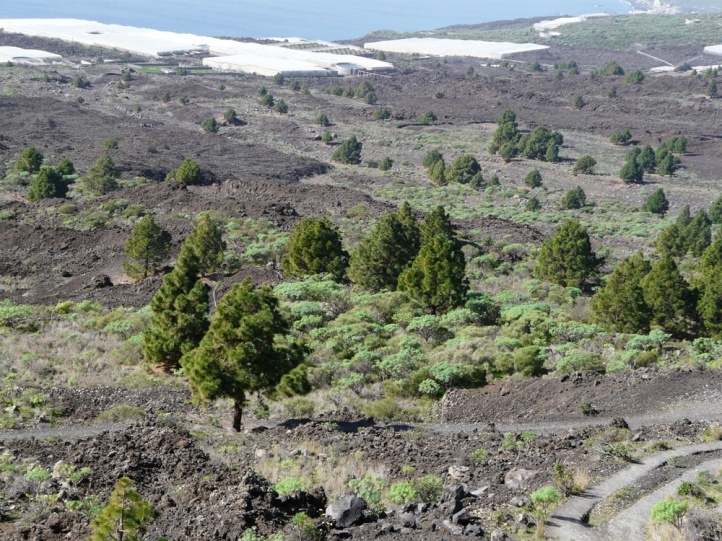 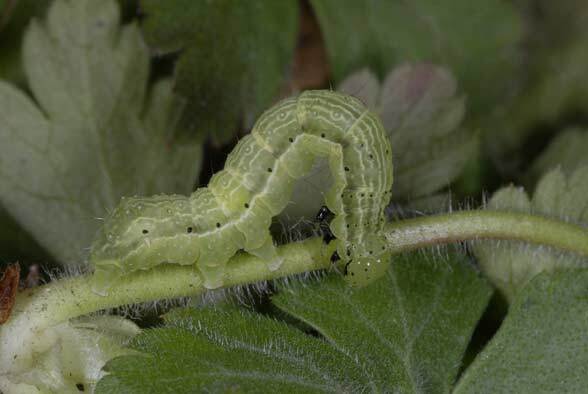 In Fuerteventura and La Gomera, I found many larvae in parks at different Pelargonium species. 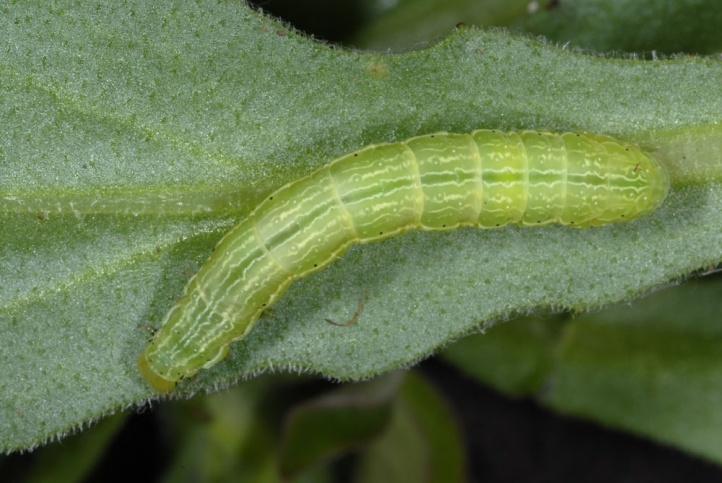 In La Palma, I met the insects on Echium and Nicotiana glauca. 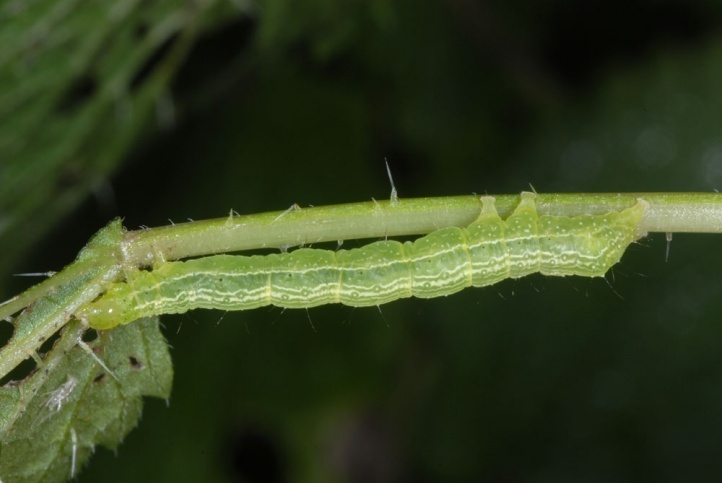 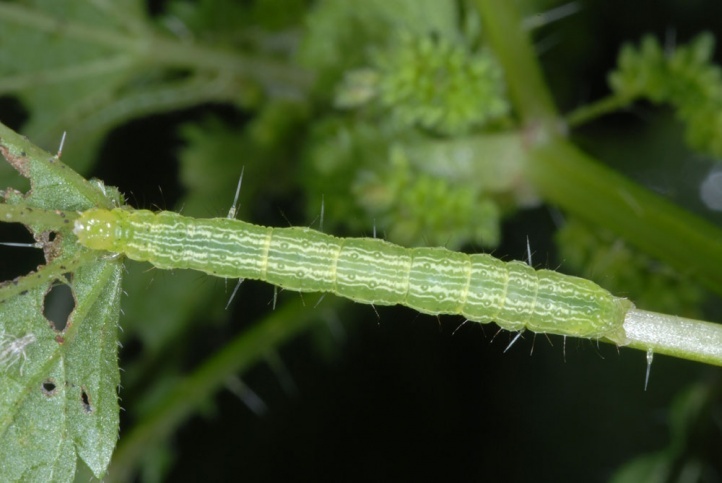 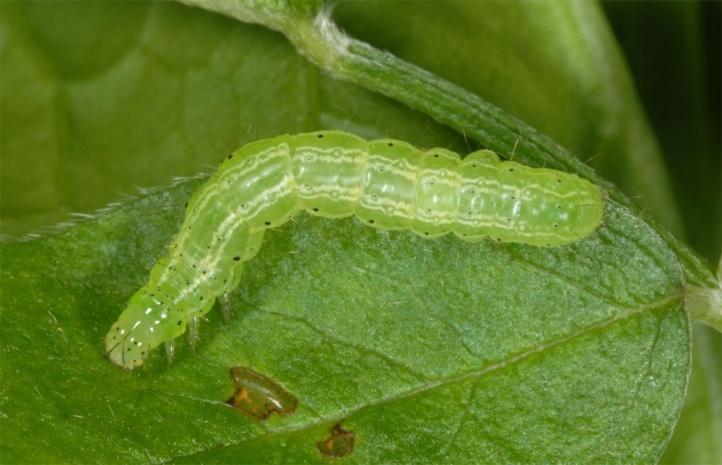 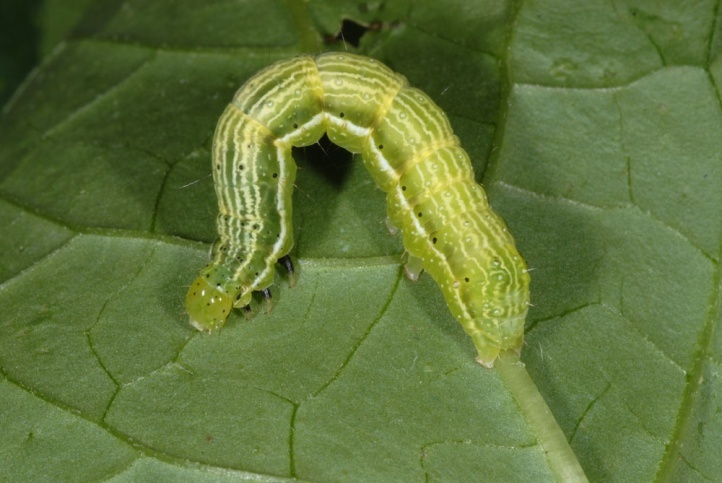 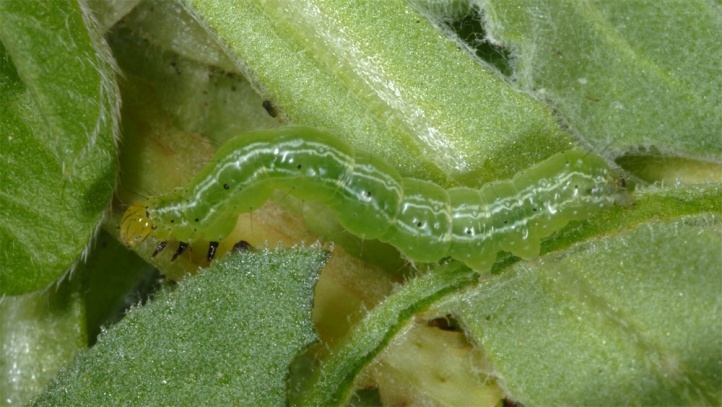 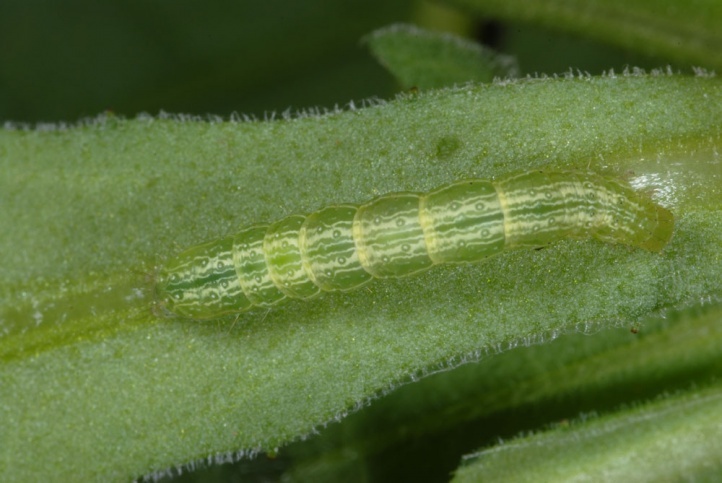 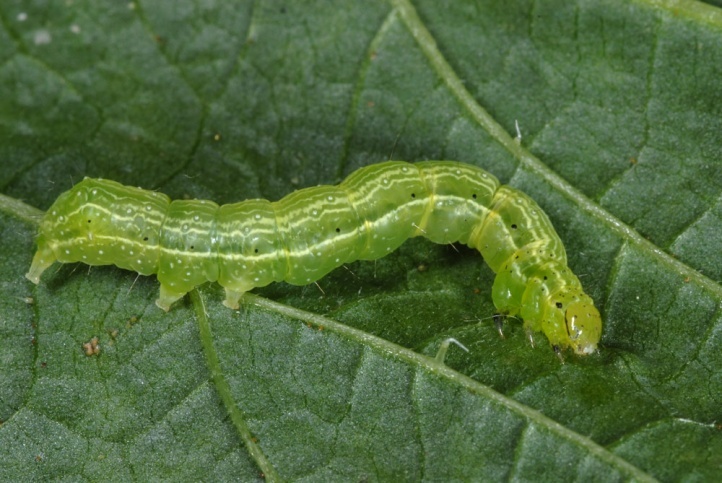 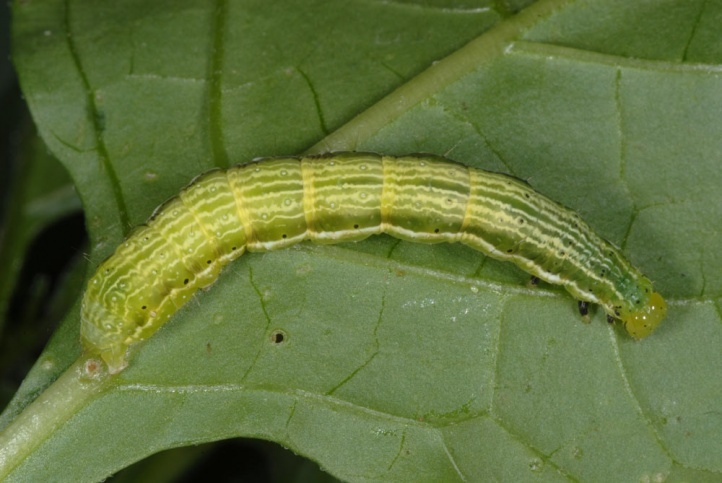 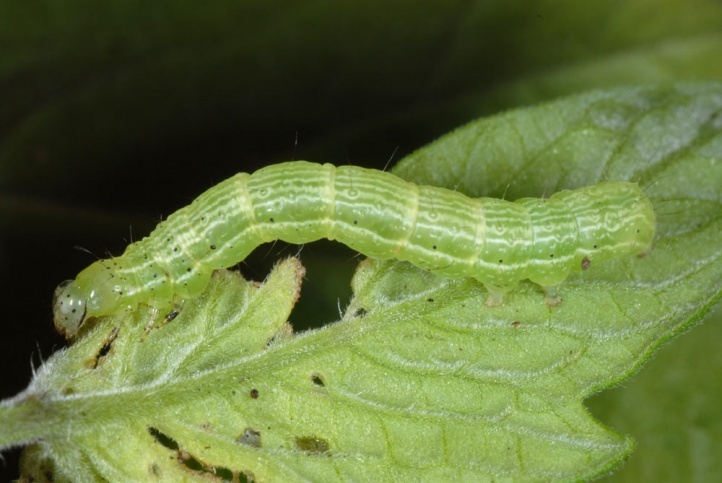 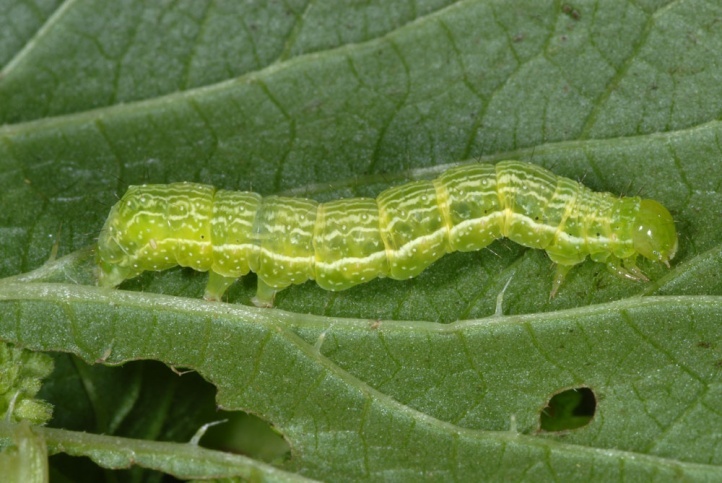 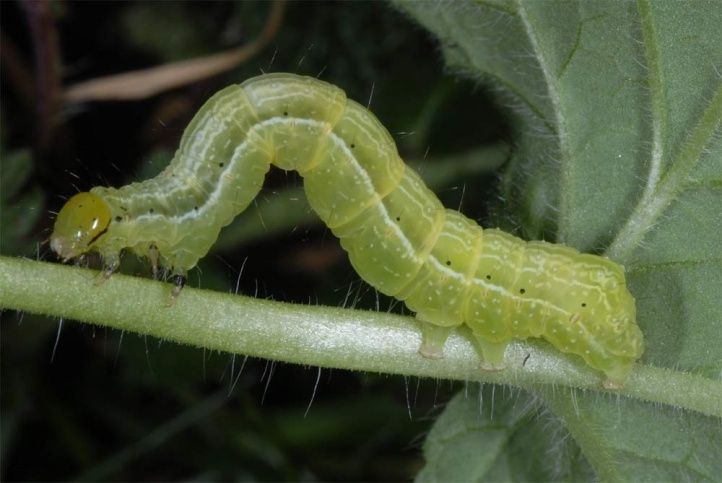 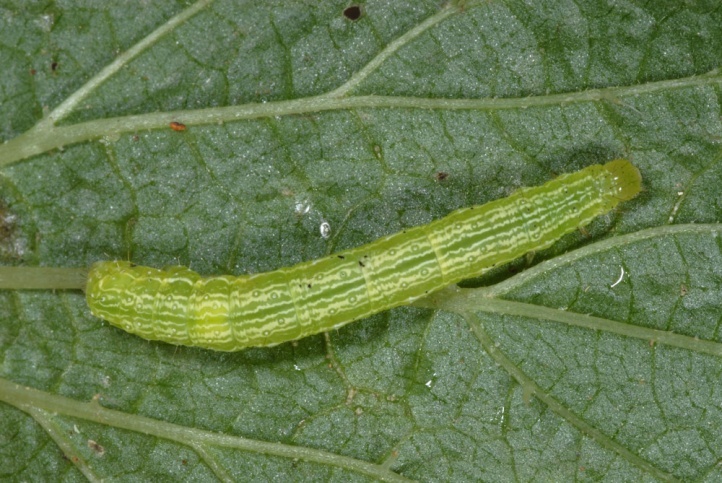 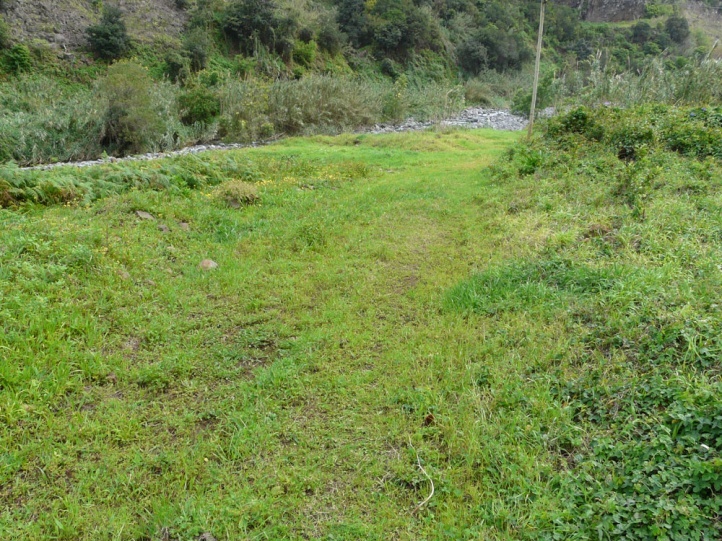 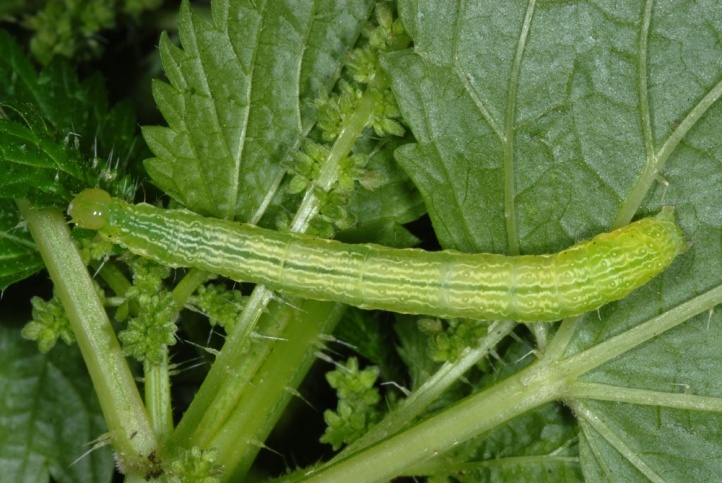 In La Gomera (2013) the larvae were observed on Geranium, Bidens and Bituminaria bituminosa and on Madeira (2013) on Urtica and Galinsoga. 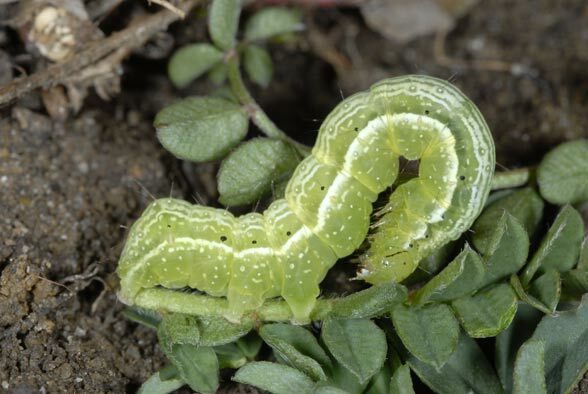 The ubiquitous common species is found especially in vegetation-rich areas such as gardens, parks, farmland or forb communities. 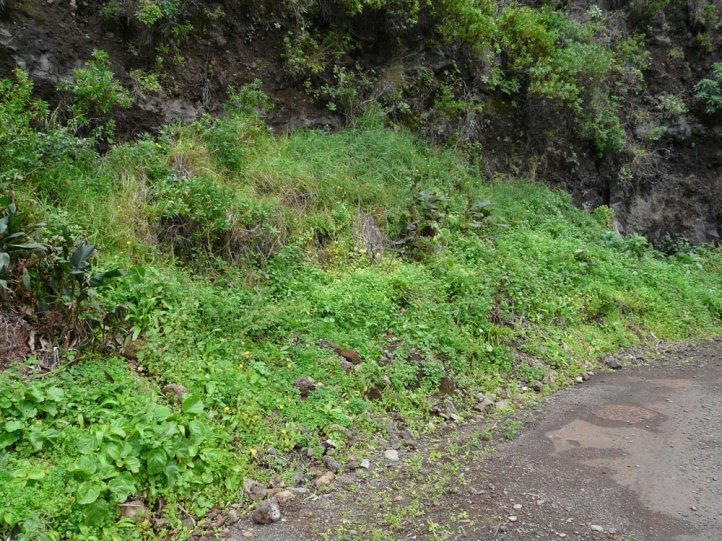 Chrysodeixis chalcites prefers in the Canaries coast-near areas and does not rise as high in the mountains as Cornutiplusia circumflexa. 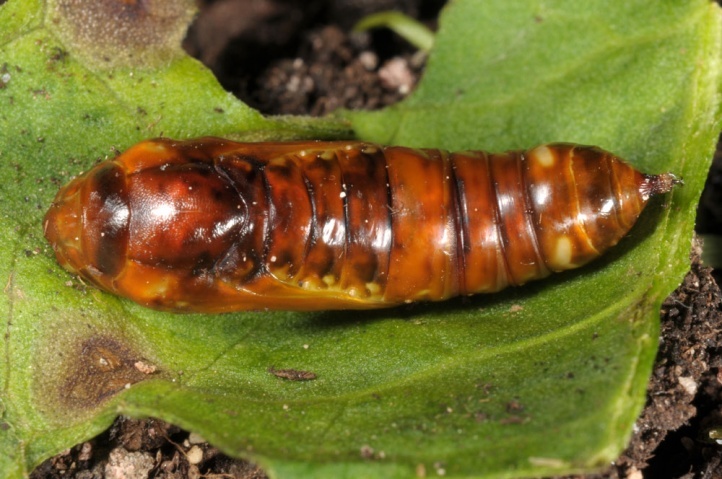 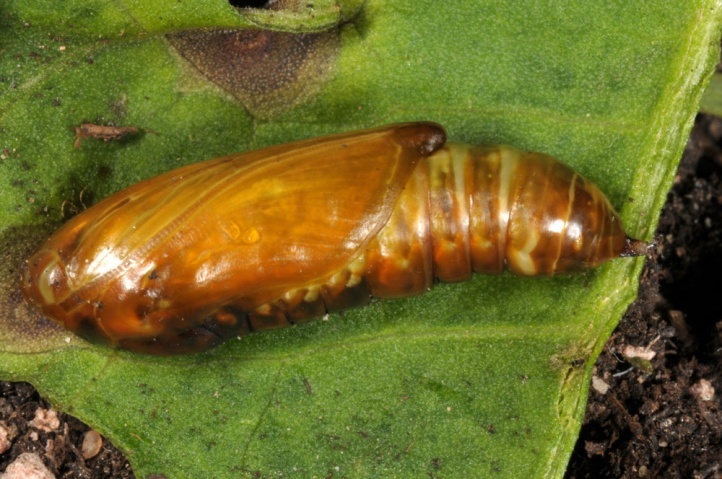 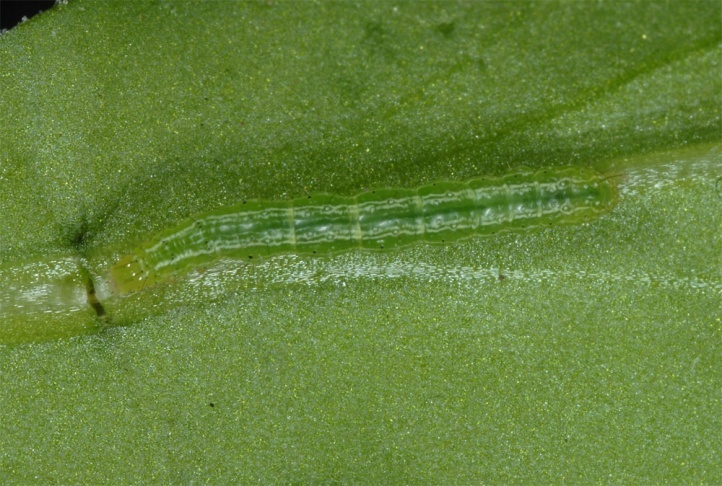 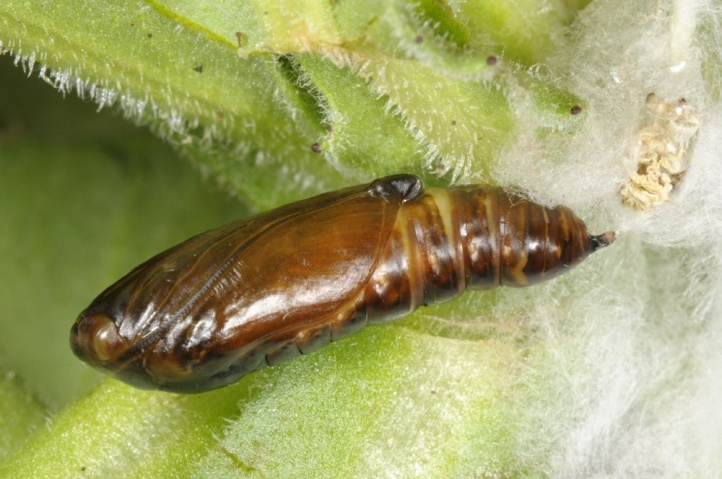 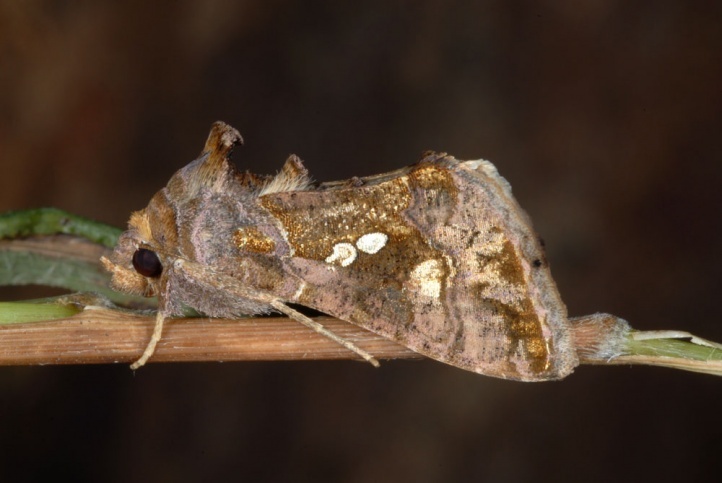 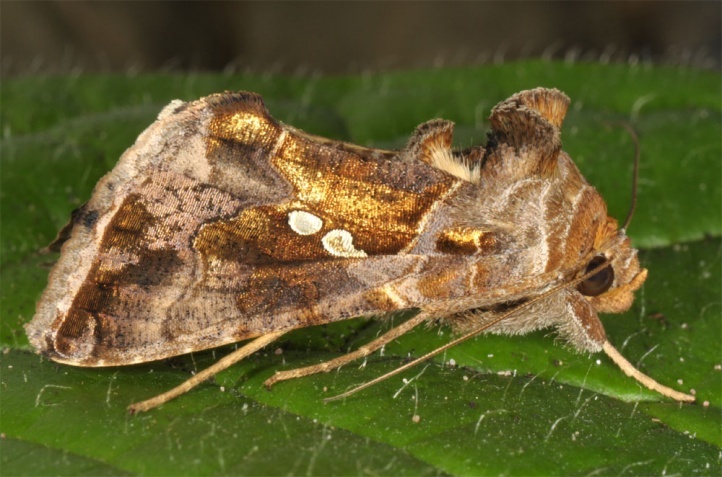 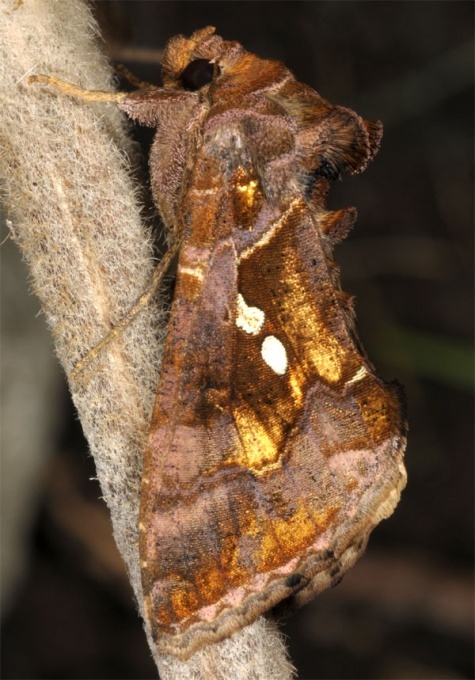 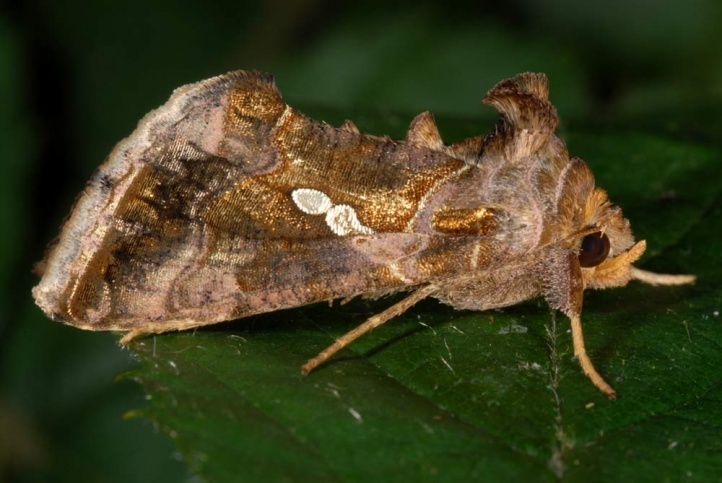 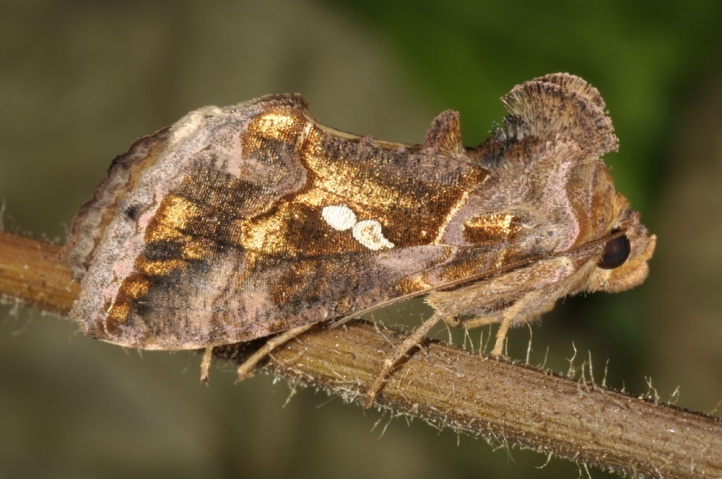 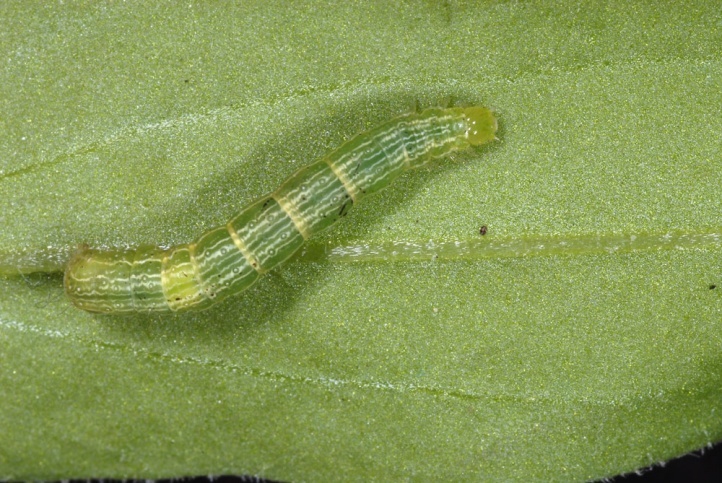 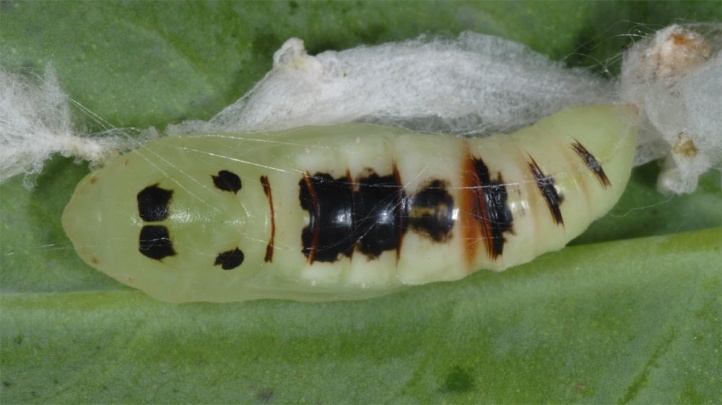 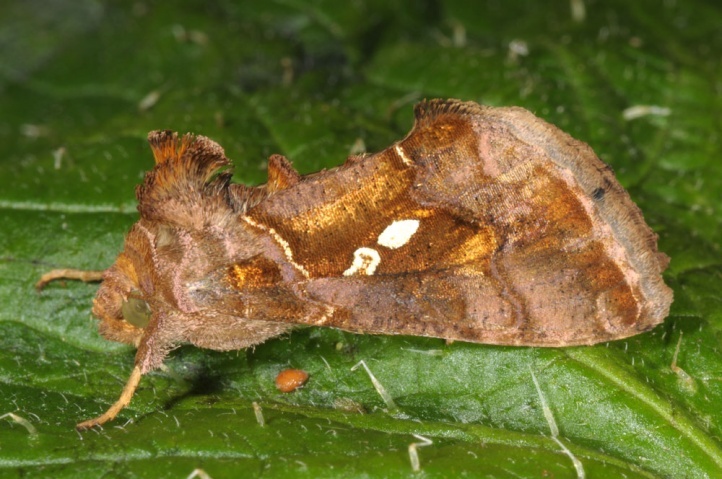 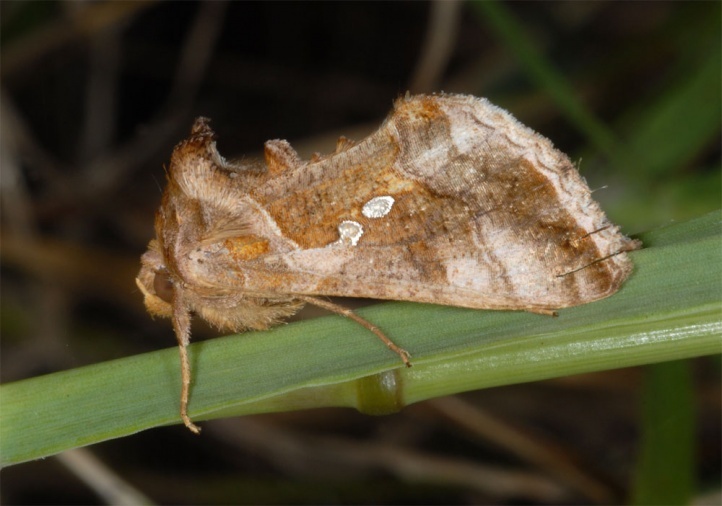 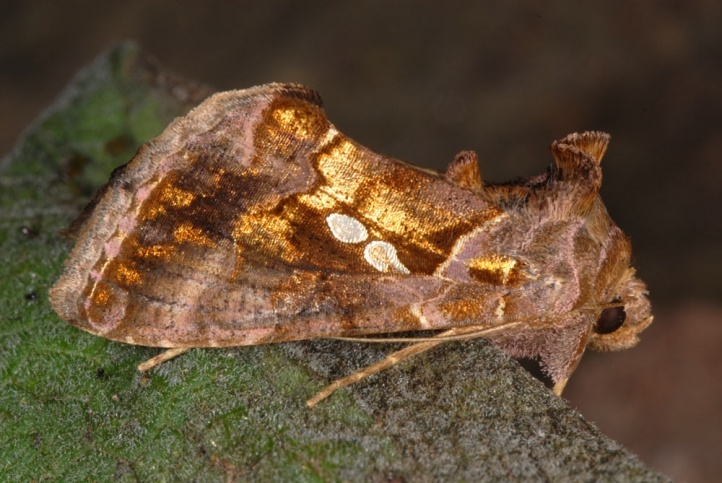 Chrysodeixis chalcites has a continuous development in warm conditions, otherwise probably the larvae try to hibernate. 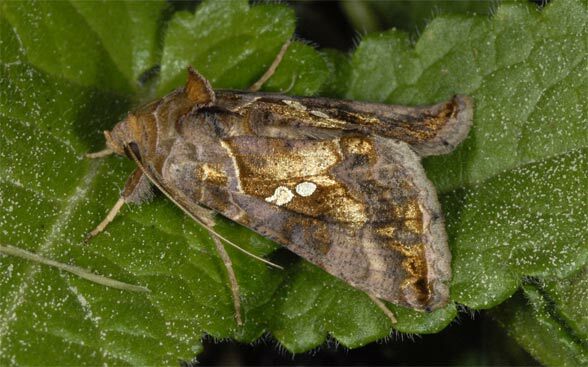 But it tolerates no frost and thus can not survive winters in most of Europe. 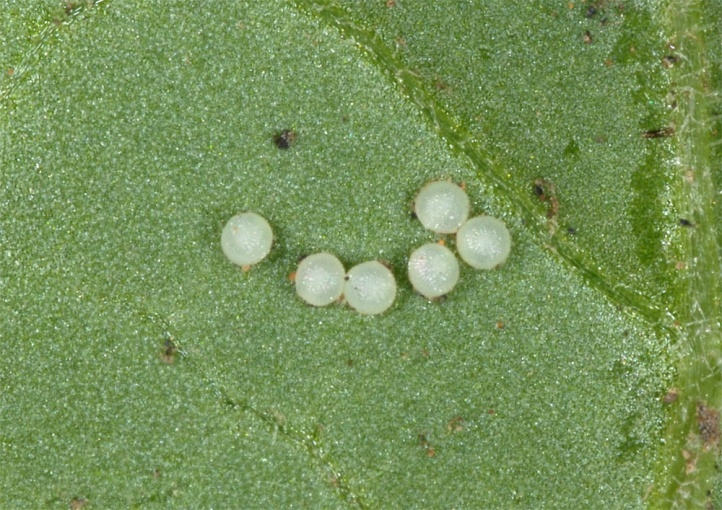 The eggs are often laid singly or in small groups on the underside of leaves. 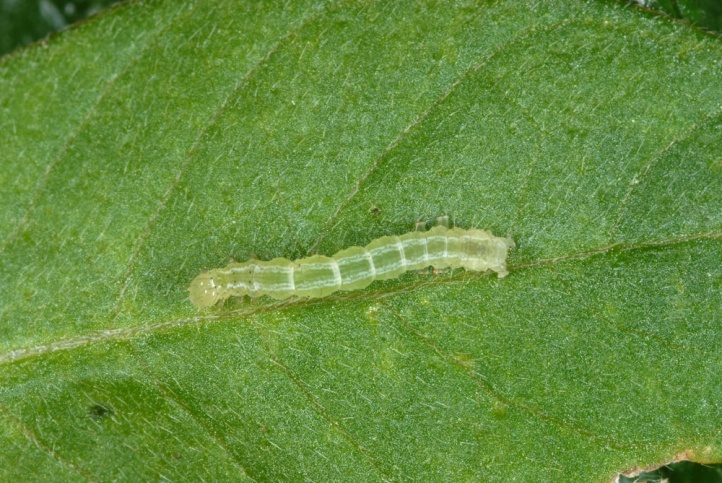 I often found such eggs on Nicotiana glauca (La Gomera, La Palma). 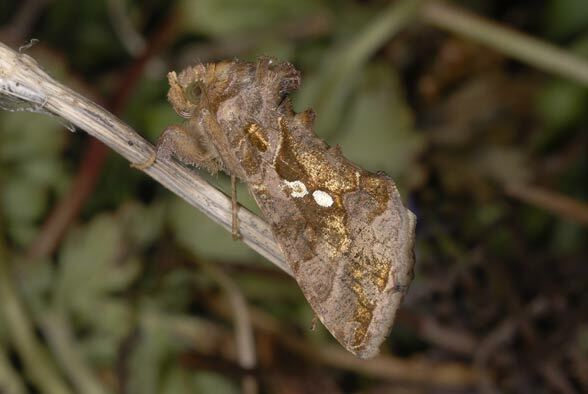 Chrysodeixis chalcites is widely distributed in the Old World, but reaches northern areas such as Germany only singly as a rare migrant butterfly. 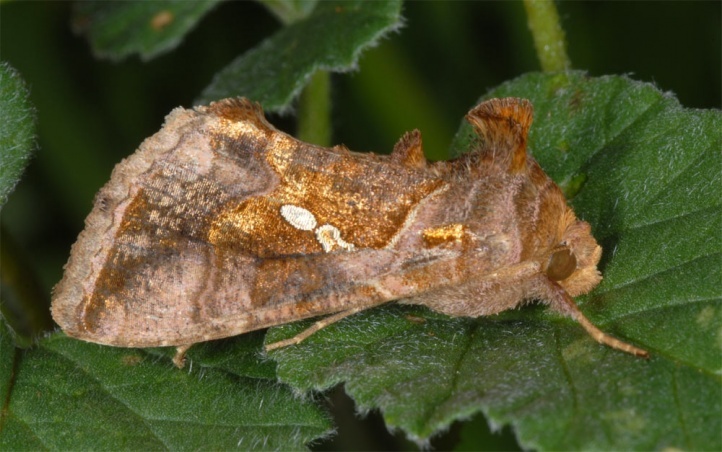 In Europe, the beautiful species is probably native only on the southern Mediterranean coast and on the Atlantic Islands. 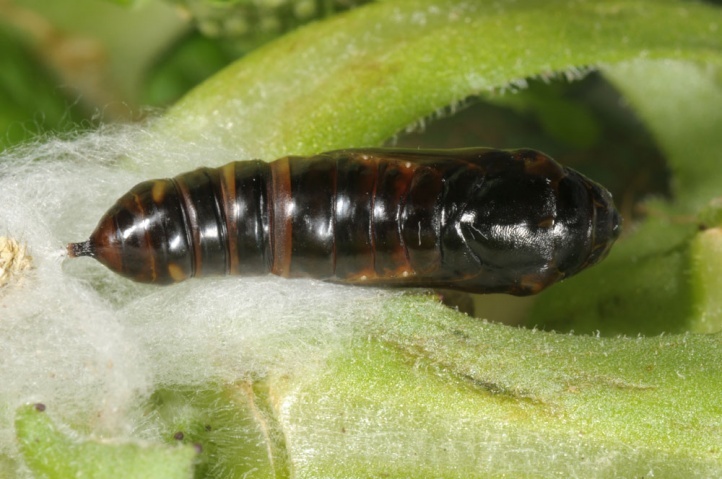 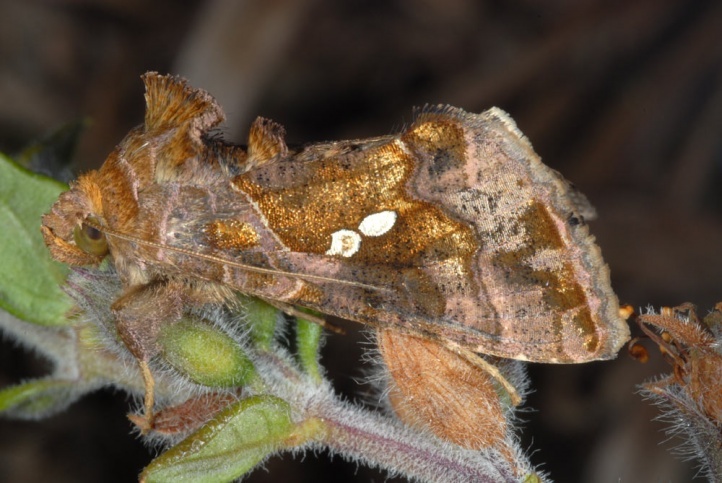 In the south, Chrysodeixis chalcites is regarded as agricultural pest species.